Namibia is one of those countries that could and should be visited in its own right and makes for a great fly-drive destination. 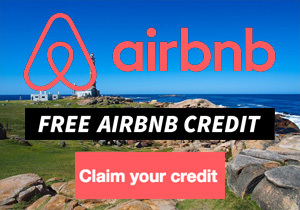 However, if you’re in neighbouring South Africa it is easy to get cheap flights to the capital relatively easily. As a former German colony, Namibia is popular with German tourists and you might be able to bag yourself a bargain flight by getting a budget flight to Germany and then fly down to Namibia. 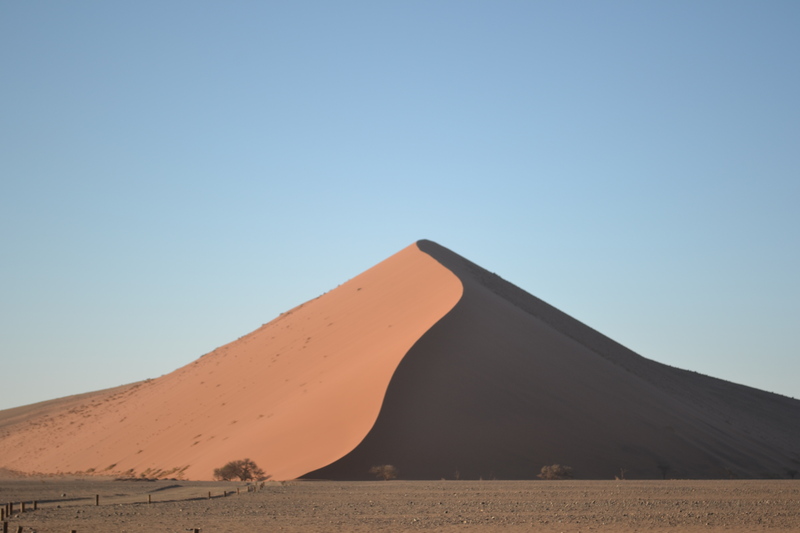 Namibia is the second least densely populated country on the planet but its vastness does not mean there is a lack of things to do, it just adds to the beauty of it. 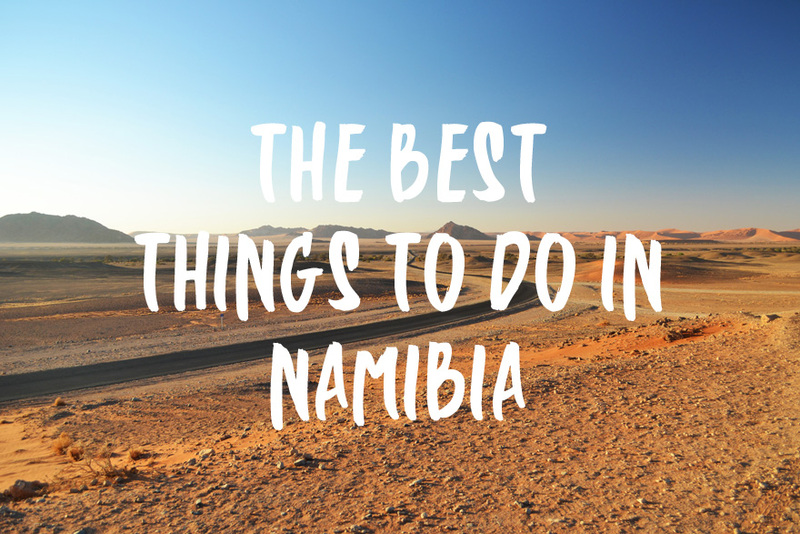 Here are our top things to do in Namibia. When is the best time of year to go to Namibia? Is Namibia safe to travel to? What currency is used in Namibia? What is Namibia famous for? Etosha National park is situated in the north west of the country and is smaller in size compared to other national parks throughout Africa. However, as a particularly dry country it means that wildlife must come to a watering hole to quench their thirst. This means less driving is needed and you’ll see watering holes packed with wildlife. With protected wildlife from black rhinos to pelicans, flamingos and impalas roaming around the waterholes, Etosha is a prime spot for some spectacular game viewing. 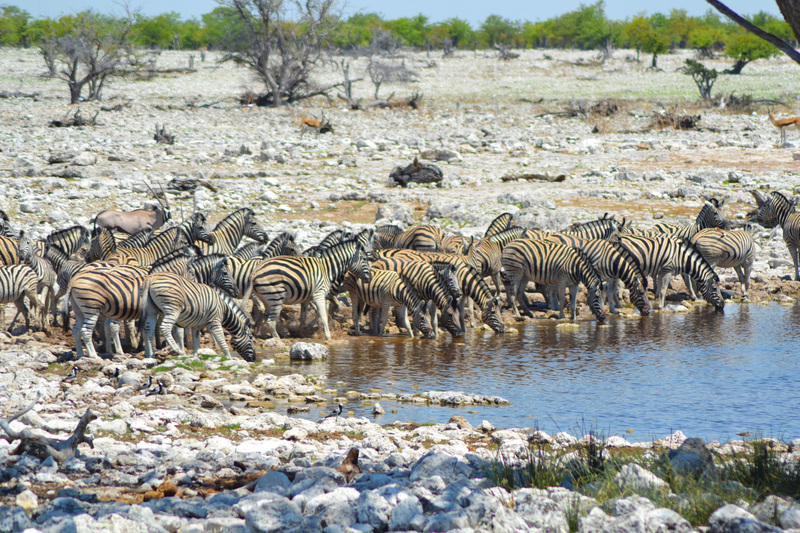 Poke around the wilderness some more and you will stumble upon the Etosha Pan, an impressive salt pan spanning 130km. Etosha is also home to some great Luxury Lodges & Safari Camps. As the buzzing capital and commercial hub of Namibia, Windhoek is a wonderful place for nosing around. Just walking along the streets lined with colonial buildings, you will see friendly faces pass you by. 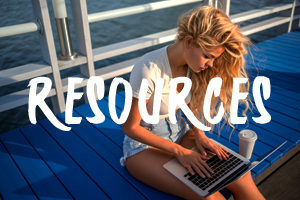 True, no one is likely to mistake you for a local but exploring the native cafes, shops, restaurants and market-stalls is a great way to delve into the travelling experience. 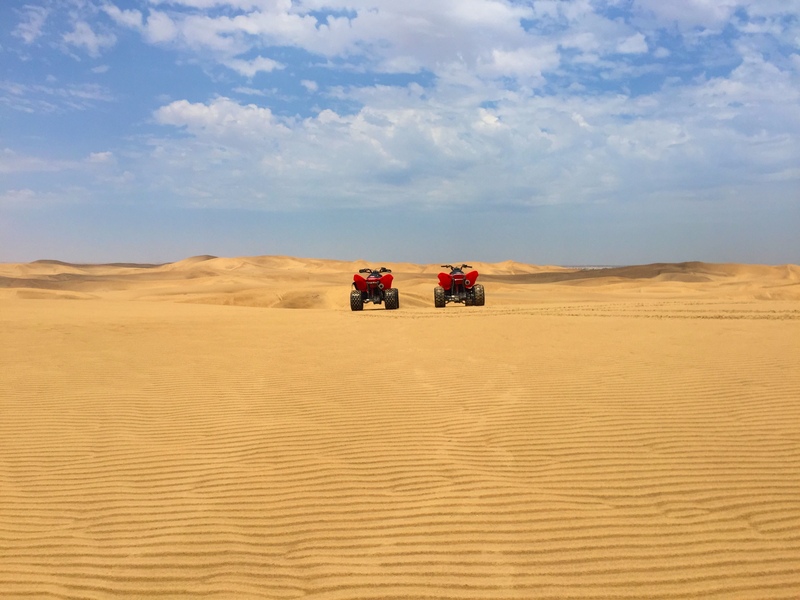 Swakopmund is ideal for those who want adventure (and also a break from eating game as the fish options here are awesome). If you want to go quad biking or sandboarding on the dunes, this is the place to do it. Between Sesriem and Swakopmund is Solitaire, a small town with a few farms and lodges. 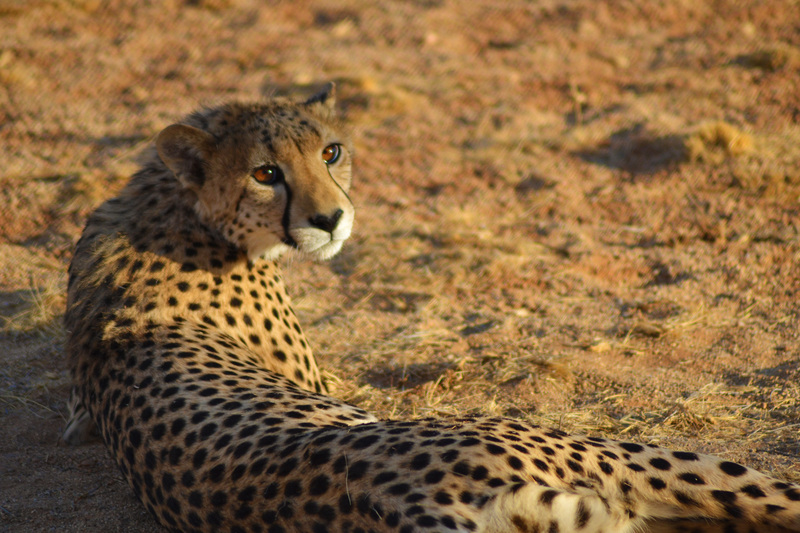 From here you can visit a 1265 acre enclosed cheetah sanctuary which holds cheetahs that cannot survive in the wild. The oldest desert in the world is home to a few attractions you can see in one day. The first being Dune 45 which gives you fantastic views across the desert and other dunes. Start early so you’re not climbing in the blistering heat. Further on is Deadvlei and Sossusvlei. Perfect for photographers, there is a white pan with dead thorn trees which look epic in the desert. After your adventures in Sossusvlei it’s only a few kilometres to get to Sesrium Canyon. Looking like something from the set of Star Wars, the canyon has been formed over millions of years. It’s not deep either so a very short walk means it’s easy to climb down into the canyon. Down the road from Swakopmund is Walvis Bay which is home to Pelican Point which is home to over 50,000 Cape Fur seals. They are terrified of you on land but totally in their element at sea. Take a kayaking tour and see seals and dolphins that will inquisitively check you out as you paddle. Some will even cheekily splash you! Africa’s answer to the Grand Canyon, Fish River Canyon is the largest on the African continent and approximately 100 miles long. If you’re up for a challenging and rugged landscape to hike, Fish River Canyon is something you should put on your list of things to do in Namibia. Close to Swakopmund, lies the culturally rich township of Mondesa. 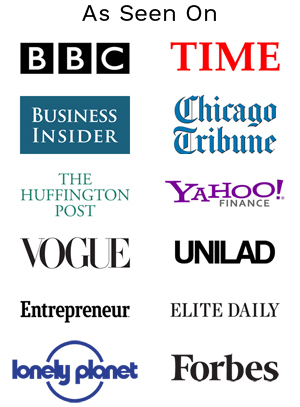 Perhaps the most interesting stop on my tour of ceaseless curiosity, Mondesa’s ethnic diversity was truly astounding. Exploring this colourful colony on a personal guided tour was one of my most memorable experiences of Namibia. Here are some of the most popular questions on Namibia answered! Namibia gets over 300 days of sunshine a year making it a pretty much year round destination. Namibia is exceptionally dry but when it does rain it happens from December – March. The rainy season is the best time for bird watchers. Peak game season is from April to November so make sure you book accommodation in advance. Namibia is a safe country to travel however the only place you should take extra care is in the capital Windhoek. It’s not recommended that you walk around at night – this is advice given by locals. Namibia has it’s own dollar but South African rand is also used widely. The exchange rate is one for one and you’ll find sometimes if you pay in one currency you’ll receive change in the other. Namibia’s coastal desert is one of the oldest in the world and it is the driest country in sub-Saharan Africa. It is also famous for being one of the least densely populated countries in the world.